Do you believe it’s possible to change? Home Blog Do you believe it’s possible to change? Let’s say your fairy godmother appears in front of you and offers you the chance to change one aspect of your life, what would it be? Cue deep thinking . 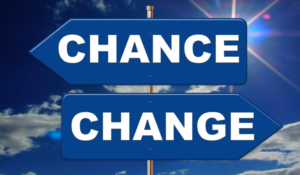 . .
Would you choose a career change? Breaking out of an old pattern and stepping up to your dreams? Or perhaps feeling better about yourself or your relationships? Could this change be about you making life happen FOR you – rather than letting life happen TO you. Big difference! Before working on change it helps to have an understanding of why we act the way we do. And of course, the way we act has a profound effect on the results we get. Interestingly, it all comes down to our Beliefs! And our actions are the results of our Beliefs – change your Beliefs change your results. So what are Beliefs? Beliefs are something we have a feeling of certainty about, a made up from meaning we’ve attached to the events in our lives. It’s not the actual events of our lives that shape us, but our beliefs as to what those events meant. How we interpret (or misinterpret) these events shapes who we are today and who we’ll become tomorrow. If you observe yourself saying things like ‘I always . . . . .’ or ‘People always . . . . .’ you could be tracking down a belief. Let’s say there are two people who have a business idea. The first person tells themselves ‘I always have great ideas for a business but it never gets off the ground. I just don’t have what it takes’. Sounds like the person who developed this Belief (most likely unconsciously) had some experiences along the way that how they interpreted it attached a disempowering meaning to it. And yet another person may have had a similar experience or feedback and took a completely different meaning to create a far more empowering belief like ‘when I’m determined and flexible I can achieve anything’. Which one of these budding entrepreneurs is more likely to achieve their goal? It’s well worth taking some time to identify Beliefs running your life. Some may be setting you on fire with enthusiasm and positivity while others not so much. Keep the goodies and re-invent the ones with built-in brakes. Beliefs are not set in stone, they can be changed. Need some coaching on your Beliefs? Well, how’s that for a coincidence – I’m just the coach to guide you on your Belief-Boosting journey! I’m a big believer in Beliefs!